Notices for Choices Coverage MUS Annual Enrollment will be April 22, 2019 - May 15, 2019 If you do not submit a hardcopy enrollment form with your benefit changes between April 22 - May 15, 2019, you and your dependents will automatically be re-enrolled in your current benefits. The Montana University System is launching a NEW online benefits administration and enrollment system, Benefitsolver, for annual enrollment. With this implementation, as of July 1, 2019, Businessolver (the Benefitsolver administrator) will be taking over retiree direct billing, offering online payments, scheduled automated clearing house (ACH) transactions, or physical coupons. Direct bill retirees will no longer submit their premium payments to their applicable campus Human Resources/ Benefits office. Additional information about the new direct billing process will be forthcoming from Businessolver to the affected current direct bill retirees. If you do not want to make any benefit changes to your MUS Choices Retiree Benefit Plan, you do not need to submit an enrollment form and you will be automatically enrolled in your current benefits. If you are making benefit changes for the 2019-2020 Plan Year to your MUS Choices Retiree Benefit Plan, please return your completed 2019 annual enrollment form to your campus Human Resources/Benefits Office no later than May 15, 2019. If you choose to drop your MUS Choices Retiree coverage you must notify your campus Human Resources/Benefits Office no later than May 15, 2019. Choices Enrolling as a Retiree To select Choices options as a Retiree, you must complete and return an enrollment form or make your benefit elections: a.	within 63 days of retirement and becoming eligible for Retiree benefits. If you do not enroll within the 63-day enrollment period, you will permanently forfeit your eligibility for all Retiree insurance coverage. b.	during annual enrollment by the stated deadline. If you do not make any benefit changes, you will automatically be enrolled in your current benefit elections or to the stated default coverage if your existing plan(s) is/are changing. c.	when you have a mid-year qualifying event (marriage, birth or adoption of a child, loss or gain of eligibility for other health insurance coverage - voluntarily canceling other health insurance does not constitute loss of eligibility) and want to make an allowed mid-year change in benefit elections. This change must be made within 63 days of the event. Documentation to support the change will be required. No Retreat Rights: If you decline retiree medical, dental, and/or vision hardware coverage, you and your eligible dependents will NOT be allowed to enroll in the future. If you are waiving coverage for your eligible dependents (including your spouse), as those persons are defined by the Montana University System (MUS) Summary Plan Description (SPD) because they are currently covered by another health insurance plan, you may be able to enroll your eligible dependents for coverage under the MUS Plan in the future, provided that you request such coverage within 63 days after their other coverage ends. If you acquire an eligible dependent, as defined by the MUS Plan, as a result of marriage, birth, adoption or placement for adoption of a child under the age of 18, you may enroll your newly acquired dependent child(ren) or spouse for coverage under the MUS Plan, provided that such enrollment occurs within 63 days after the marriage, birth, adoption or placement for adoption. Reminder: Enrollment for FY2020 is Closed Enrollment for spouses unless there is a qualifying event (see Summary Plan Description (SPD) for qualifying events). Eligible children under age 26 may be added during this annual enrollment period. Step 3: Demographic and Dependent Coverage Sections. Please fill in these sections completely every time you fill out this enrollment form. Total Your Costs. Add up the premium amounts and enter the total on the Total Monthly Premium line. As of July 1, 2019, Businessolver (the Benefitsolver administrator) will be taking over retiree direct billing, offering online payments, scheduled automated clearing house (ACH) transactions or physical coupons. Direct bill retirees will no longer submit their premium payments to their applicable campus Human Resources/Benefits Office. Current direct bill retirees will receive information about the new direct billing process from Businessolver. If you have not arranged with your campus Human Resources/Benefits Office for automatic payment of your premiums through your pension plan, it is strongly recommended that you consider doing so. If you decline medical, dental, and/or vision hardware plan coverage, you will permanently forfeit your coverage(s) and will not be able to return to the Plan coverage(s) in the future. from an Out-of-Network provider have a separate deductible and a 35% coinsurance and a separate Out-of-Pocket * Services maximum. An Out-of-Network provider can balance bill the difference between the allowed amount and the charge. Jack hasn’t reached his deductible yet and he visits the doctor and has lab work. He pays $30 for the office visit and 100% of the allowed amount for covered lab charges. For example, Jack’s doctor visit totals $1,000. The office visit is $150 and labwork is $850. The Plan allows $100 for the office visit and $400 for the labwork. Jack pays $30 for the office visit and $400 for the labwork. The Plan pays $70 for the office visit and $0 for the labwork. The In-Network provider writes off $500. Jack has seen the doctor several times and reaches his $1,250 In-Network deductible. His plan pays some of the costs of his next visit. He pays $30 for the office visit and 30% of the allowed amount for labwork and the Plan pays the remainder of the office visit + 70% of the allowed amount. For example, Jack’s doctor visit totals $1,000. The office visit is $150 and labwork is $850. The Plan allows $100 for the office visit and $400 for the labwork. Jack pays $30 for the office visit and $120 for the labwork. The Plan pays $70 for the office visit and $280 for the labwork. The In-Network provider writes off $500. Jack reaches his $4,350 out-of-pocket maximum. Jack has seen his doctor often and paid $4,350 total (deductible + coinsurance + copays). The Plan pays 100% of the allowed amount for covered charges for the remainder of the benefit year. For example, Jack’s doctor visit totals $1,000. The office visit is $150 and labwork is $850. The Plan allows $100 for the office visit and $400 for the labwork. Jack pays $0 and the Plan pays $500. The In-Network provider writes off $500. Jack hasn’t reached his deductible yet and he visits the doctor. He pays 100% of the provider charge. Only allowed amounts apply to his deductible. For example, the provider charges $1,000. The Plan allowed amount is $500. $500 applies to Jack’s Out-of-Network deductible. Jack must pay the provider the full $1,000. Jack pays 40% + any difference between provider charge and plan allowed amount. Jack has seen the doctor several times and reaches his $2,500 Out-of-Network deductible. His plan pays some of the costs of his next visit. He pays 40% of the allowed amount and any difference between the provider charge and the Plan allowed amount. The Plan pays 60% of the allowed amount. For example, the provider charges $1,000. The Plan allowed amount is $500. Jack pays 40% of the allowed amount ($200) + the difference between the provider charge and the Plan allowed amount ($500). Jack’s total responsibility is $700. The Plan pays 60% of the allowed amount ($300). Jack reaches his $6,000 out-of-pocket maximum. Jack has seen his doctor often and paid $6,000 total (deductible + coinsurance). The Plan pays 100% of the allowed amount for covered charges for the remainder of the benefit year. Jack pays the difference between the provider charge and the allowed amount. For example, the provider charges $1,000. The Plan allowed amount is $500. Jack pays $500 and the Plan pays $500. Note: There is no network for Naturopaths, so they are treated as in-network, however, the member may be balance billed the difference between the allowed amount and the provider charge. Deductible applies to all covered services unless otherwise indicated or a copay applies. Out-of-Network providers can balance bill the difference between their charge and the allowed amount. (this is a combined max of 30 visits for all rehab services) Note: There is no network for Acupuncture & Massage Therapy, so they are treated as In-Network, however, the member may be balance billed the difference between the allowed amount and the provider charge. periodic wellness visits, certain designated screenings for symptom free or disease-free individuals, and designated routine immunizations. When preventive care is provided by In-Network providers, services are reimbursed at 100% of the allowed amount, without application of deductible, coinsurance, or copay. Services from an Out-ofNetwork provider have a 40% coinsurance and a separate deductible and out-of-pocket maximum. An Out-of-Network provider can balance bill the difference between the allowed amount and the charge. Your prescription drug coverage is managed by Navitus Health Solutions. Mail Order Pharmacies Ridgeway, Costco, and miRx Pharmacies administer the mail order pharmacy program. If you are new to the mail order program, you can register online (see contact details on next page). Who is eligible? The Prescription Drug Plan is a benefit for all benefits eligible Montana University System employees, retirees, COBRA enrollees and their eligible dependents. Any member enrolled in a medical insurance plan will automatically receive Navitus Health Solutions prescription drug coverage. There is no separate premium and no deductible for prescription drugs. Specialty Pharmacy The preferred Specialty Pharmacy is Lumicera Health Services. Lumicera helps members who are taking prescription drugs that require special handling and/or administration to treat certain chronic illnesses or complex conditions by providing services that offer convenience and support. Ordering new prescriptions with this specialty pharmacy is simple, just call a Patient Care Specialist to get started at 1-855-847-3553. To determine your drug tier level and copay amount before going to the pharmacy, consult the Drug Schedule of Benefits or call Navitus Customer Care (see next page for numbers). The Navitus Drug Formulary List and Pharmacy Directory can be found online at www.navitus. com. You will need to register on the Navitus Navi-Gate for Members web portal to access the drug formulary (preferred drug list), drug tier level, and pharmacy directory. If you have questions regarding the drug formulary list or pharmacy directory, please contact Navitus Customer Care. You can also find a list of Lumicera specialty pharmacy Frequently Asked Questions (FAQs) at https://www.lumicera.com/Patients/FAQ.aspx. You can also find a list of Navitus Frequently Asked Questions (FAQs) at https://www.navitus. com/members/members-faqs.aspx. Medicare Part D Plan The Medicare Retiree Prescription Drug Plan, Navitus MedicareRx, is a Medicare Part D prescription drug plan (PDP). Like all Medicare Part D plans, this Medicare prescription drug plan is approved by Medicare and run by a private company. •	Enrollment in another Medicare Part D drug plan is not permitted. •	MUS Medicare primary Retiree Plan members cannot be covered on another MUS Medicare primary Retiree Plan as a spouse (dual enrollment). 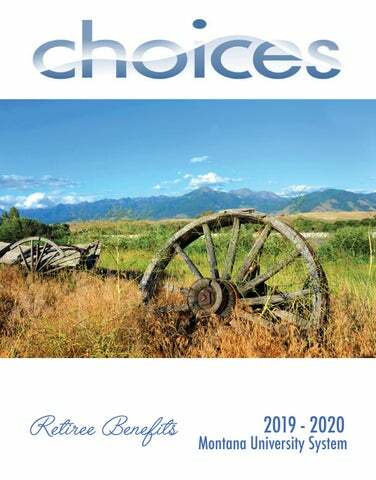 •	Medicare eligible retiree members must be enrolled in both Medicare Part A and B to be eligible for this drug plan and to remain on the Montana University System benefit plan. Commercial (Non-Medicare Retirees) Customer Care: 866-333-2757 Member Portal: www.navitus.com MedicareRx (Medicare Retirees) Customer Care: 866-270-3877 Member Portal: www.medicarerx. navitus.com Lumicera Health Services Customer Care: 1-855-847-3553 Monday - Friday 8 a.m. to 6 p.m. Attached are your new ID cards. Please discard any previously issued card(s). Always present your most current ID card when purchasing prescription drugs. S9701_801_2015_N02_001 Underwritten by Dean Health Insurance, Inc.
Twice Per Benefit Year Initial and Periodic oral exam Cleaning Complete series of intraoral X-rays Topical application of fluoride Note: The above services do not count towards the $2,000 annual maximum (see below). Select Plan Benefit Highlight Features: Diagnostic & Preventive Services The Choices Select Plan allows MUS Plan members to obtain diagnostic & preventive services without those costs applying to the annual $2,000 maximum. Orthodontic Benefits The Choices Select Plan provides a $1,500 lifetime orthodontic benefit per covered individual. Benefits are paid at 50% of the allowable charge for authorized services. Treatment plans usually include an initial down payment and ongoing monthly fees. If an initial down payment is required, Choices will pay up to 50% of the initial payment, up to 1/3 of the total treatment charge. In addition, Delta Dental (the dental plan administrator) will establish a monthly reimbursement based on your provider’s monthly fee and your prescribed treatment plan. How to select a Delta Dental Dentist that will best suit your needs and your pocket book! Understand the difference between a PPO and Premier Dentist. The MUS Dental Plan utilizes a fee schedule so you know in advance exactly how much the Plan will pay for each covered service. It is important to understand that a dentist’s charges may be greater than the Plan benefit, resulting in balance billing to you. While you have the freedom of choice to visit any licensed dentist under the Plan, you may want to consider visiting a Delta Dental dentist to reduce your Out-of-Pocket costs. When a dentist contracts with Delta Dental, they agree to accept Delta Dental’s allowed fee as full payment. This allowed fee may be greater than the MUS Plan benefit in which case, the dentist may balance bill you up to the difference between the allowed fee and the MUS Plan benefit amount. Montana University System plan members will usually save when they visit a Delta Dental dentist. Delta Dental Preferred Provider Organization (PPO) dentists agree to lower levels of allowed fees and therefore offer the most savings. Delta Dental Premier dentists also agree to a set level of allowed fees, but not as low as with a PPO dentist. Therefore, when visiting a Premier dentist, MUS members usually see some savings, just not as much as with a PPO dentist. The best way to understand the difference in fees is to view the examples below. Then go to: www.deltadentalins.com/MUS and use the Find a Dentist search to help you select a dentist that is best for you! Administered by Blue Cross Blue Shield of Montana 1-800-820-1674 or 447-8747, www.bcbsmt.com Claim submission form at: www.choices.mus.edu/forms. Who is Eligible? Employees, spouses, retirees, and children are eligible if you elect to have this coverage. Using Your Vision Hardware Benefit Quality vision care is important to your eye wellness and overall health care. Accessing your Vision Hardware benefit is easy. Simply select your provider, purchase your hardware and submit your claim form to Blue Cross Blue Shield of Montana for processing. The voluntary vision coverage is a hardware benefit only. Eye Exams, whether preventive or medical, are covered under the medical benefit plan. See pg. 7 Eye Exam (preventive & medical). Please refer to the Summary Plan Description (SPD) for complete vision hardware benefits and plan exclusions (see pg. 26 for availability). Coverage Up to $300 allowance toward the purchase of eyeglass frame and prescription lenses, including single vision, bifocal, trifocal, progressive lenses; ultraviolet treatment; tinting; scratch-resistant coating; polycarbonate; anti-reflective coating. Lenses: One pair of lenses per benefit period, in lieu of contact lenses The Plan participant may be responsible for the charges at the time of service. Up to $150 allowance toward contact lens fitting and the purchase of Conventional, Disposable or Medically Necessary* contact lenses. The Plan participant may be responsible for the charges at the time of service. *Contact lenses that are required to treat medical or abnormal visual conditions, including but not limited to eye surgery (i.e., cataract removal), visual perception in the better eye that cannot be corrected to 20/70 through the use of eyeglasses, and certain corneal or other eye diseases. MUS Wellness Program (optional) The Montana University System (MUS) Benefit Plan offers Wellness services to covered adult plan members (employees, retirees, spouses, COBRA enrollees, and covered dependent children over the age of 18) regardless of which medical plan you choose. For more detailed information about your Wellness Program please refer to the Wellness website: www.wellness.mus.edu. WellCheck Every campus offers health screenings for plan members called WellChecks. A free basic blood panel and biometric screening are provided at WellCheck, with optional additional tests available at discounted prices. Representatives from MUS Wellness are also present at most WellChecks to answer wellness related questions. Adult plan members over the age of 18 are eligible for two free WellChecks per plan year (July1 - June 30). Go to www.wellness.mus. edu/WellCheck.asp for more information regarding WellCheck dates and times on your campus. Quick Help Program If you have a quick question regarding health, fitness, or nutrition related topics, send us an email at: wellness@montana.edu. We’ll do our best to provide the information you need, or point you in the right direction if we don’t have an answer ourselves! Online Registration Online registration is required on all campuses for WellCheck appointments. To register go to: my.itstartswithme.com. Lab Tests Log on to your It Starts With Me account for a complete listing of tests available at WellCheck: my.itstartswithme.com Flu Shots Are offered FREE in the fall, subject to national vaccine availability. Go to www.wellness.mus.edu/ WellCheck.asp for more information. The information given through the Quick Help Program does not provide medical advice, is intended for general educational purposes only, and does not always address individual circumstances. Take Control Program Take Control is a healthcare company that believes living well is within everyone’s reach. Take Control offers comprehensive and confidential education and support for the following medical conditions: Diabetes, Overweight, Tobacco User, High Blood Pressure, High Cholesterol, WellBaby member. Services provided include health coaching, fitness center or fitness class reimbursement, copay waivers for diabetic supplies and many more. Long Term Care Insurance (optional) Provided by UNUM Life Insurance Co. Unexpected events, such as accidents or illness, can catch us off guard at any age, any time. This can often lead to financial and emotional hardship. Many believe that our health plan covers long term care situations when, in most cases, it does not. We may be left thinking we should have planned better. The Long Term Care (LTC) plan is designed to pick up where our health plan leaves off. You may never need long term care. However, this year about nine million men and women will need long term care. By 2020, 12 million Americans will need long term care. Most will be cared for at home. A study by the US Department of Health and Human Services indicates that people who reach age 65 have a 40 percent chance of entering a nursing home. About 10 percent of the people who enter a nursing home stay there five years or longer. The Montana University System offers the opportunity to purchase Long Term Care Insurance from Unum Life Insurance Company of America, a subsidiary of Unum Provident. New employees can enroll in LTC within 30 days of employment without demonstrating evidence of insurability. Continuing employees, spouses, retirees, and grandparents can enroll in our group LTC insurance with medical underwriting at any time. Who is Eligible Employees, retirees, spouses, parents, and parents-in-law are eligible for the Long Term Care Insurance Plan. This plan may be elected, changed, or dropped at anytime. Enrollment If you would like to sign up for the Long Term Care Plan, contact your campus Human Resources/ Benefits Office. Additional Benefits Information Dependent Hardship Waiver The MUS Benefit Plan offers a Dependent Premium Hardship Waiver to allow health care coverage for children. The family must first apply for Healthy Montana Kids (HMK) coverage for all children under the age of 19. If HMK denies coverage and the family has a financial hardship, an application may be submitted to MUS Benefits requesting the Dependent Premium Hardship Waiver. If the total household income is not more than 115% of the HMK guidelines, the dependent children will be eligible for the waiver for the Plan year. The family must re-apply for HMK and the Dependent Premium Hardship Waiver each Plan year in order to be eligible for the waiver. For more information, please contact your campus Human Resources/Benefits office or call MUS Benefits at 1-877-501-1722 or 406-449-9162. Self Audit Award Program Be sure to check all bills and EOBs from your medical providers to make sure that charges have not been duplicated or billed for services you did not receive. When you detect billing errors that result in a claims adjustment, the MUS Plan will share the savings with you! You may receive an award of 50 percent of the savings, up to a maximum of $1,000. The Self Audit Award Program is available to all plan members who identify medical billing errors which: •	Have not already been detected by the medical plan’s claims administrator or reported by the provider; •	Involve charges which are allowable and covered by the MUS Plan, and •	Total $50 or more in errant charges. To receive the Self Audit Award, the member must: •	Notify the medical plan claims administrator of the error before it is detected by the administrator or the health care provider, •	Contact the provider to verify the error and work out the correct billing, and •	Have copies of the correct billing sent to the medical plan claims administrator for verification, claims adjustment and calculation of the Self Audit Award. Privacy Rights & Plan Documents Eligibility and enrollment for coverage in the Montana University System Employee Group Benefits Plan for persons (and their dependents) who are NOT active employees within MUS: Detailed rules are published in the MUS Summary Plan Description in these sections: •	Eligibility •	Enrollment, Changes in Enrollment, Effective Dates of Coverage •	Leave, Layoff, Coverage Termination, Re-Enrollment, Surviving Spouse, and Retirement Options •	Continuation of Coverage Rights under COBRA Each employee and former employee is responsible for understanding rights and responsibilities for themselves and their eligible dependents for maintaining enrollment in the Montana University System Employee Group Benefits Plan. Coordination of Benefits: Persons covered by a health care plan through the Montana University System AND also by another non-liability health care coverage plan, whether private, employer-based, governmental (including Medicare and Medicaid), are subject to coordination of benefits rules as specified in the Summary Plan Description, Coordination of Benefits section. Rules vary from case to case by the circumstances surrounding the claim and by the active or retiree status of the member. In no case will more than 100% of a claim’s allowed amount be paid by the sum of all payments from all applicable coordinated insurance coverages. Note to Retirees eligible for Medicare coverage: All claims are subject to coordination of benefits with Medicare whether or not the covered person is actually receiving Medicare benefits. Retirees eligible for Medicare and paying Medicare Retiree premium rates as published in the Choices Retiree Workbook are expected to be continuously enrolled in BOTH Medicare Part A and Medicare Part B. 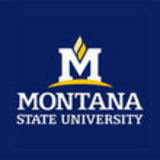 Summary Plan Description (SPD) All Montana University System (MUS) Plan participants have the right to obtain a current copy of the Summary Plan Description (SPD). Despite the use of “summary” in the title, this document contains the full legal description of the Plan’s medical, vision hardware, dental, and prescription drug benefits and should always be consulted when a specific question arises about the Plan. Participants may request a hard copy of the SPD by contacting their campus Human Resources/ Benefits Office or the MUS Benefits Office at 1-877-501-1722. The SPD is also available online on the MUS Choices website at www.choices.mus.edu. The SBC documents are available on the MUS Choices website at www.choices.mus.edu/SBC.asp. These documents, required by PPACA, will outline what each medical plan covers and what the cost share is for the member and the Plan for covered health care services. Glossary Allowed Amount A set dollar allowance for procedures/services that are covered by the Plan. Balance Billing When a provider bills the member for the balance remaining on the bill that your Plan doesnâ&#x20AC;&#x2122;t cover. This amount is the difference between the actual billed amount and the allowed amount (services provided by an Out-of-Network provider) or the billed amount for a non-covered service. Benefit Plan Year The period starting July 1 and ending June 30. Certification/Pre-Certification A determination by the appropriate medical plan claims administrator that a specific service - such as an inpatient hospital stay - is medically necessary. Pre-Certification is done in advance of a non	emergency admission by contacting the medical plan claims administrator. Coinsurance A percentage of the allowed amount for covered health care services that a member is responsible for paying, after paying any applicable deductible. For example, if Jack has met his deductible for In-Network medical costs ($1,250), he pays 30% of the allowed amount up to the Out-of-Pocket Maximum and the Plan pays 70%. Copayment A fixed dollar amount the member pays for a covered health care service, usually at the time the member receives the service. The medical plan pays the remaining allowed amount. Covered Charges Charges for medical services that are determined to be medically necessary and are eligible for payment under a medical plan. Deductible A set dollar amount that a member must pay for covered health care services before the medical plan pays. The deductible applies to the plan year (July 1 through June 30). For example, Jackâ&#x20AC;&#x2122;s deductible is $1,250. Jack pays 100% of the allowed amount until his deductible has been met. Emergency Services Evaluation and treatment of an emergency medical condition (illness, injury, or serious condition). Emergency Services are covered everywhere; however, Out-of-Network providers may balance bill the difference between the allowed amount and the charge. Fee Schedule A fee schedule is a complete listing of fees used by the Plan to reimburse providers and suppliers for providing selected health care services. The comprehensive listing of fee maximums is used to reimburse a provider on a fee-for-service or flat-fee basis. Healthcare benefits coverage offered to members through the employer to assist with the cost of covered health care services.